Dividend aristocrats have a cult-like following among income investors, and for good reason. To be a dividend aristocrat, a company must be a member of the S&P 500 Index and have paid higher dividends for 25 consecutive years. Businesses that have rewarded shareholders with rising dividends over the course of several decades tend to generate dependable cash flow, operate in large and growing markets, and be managed very conservatively. As a result, dividend aristocrats have outperformed the S&P 500 by about 3% annually over the past decade, while also recording less volatility. Even during the worst of times, when the S&P lost 37% in 2008, the dividend aristocrats only lost 22%. 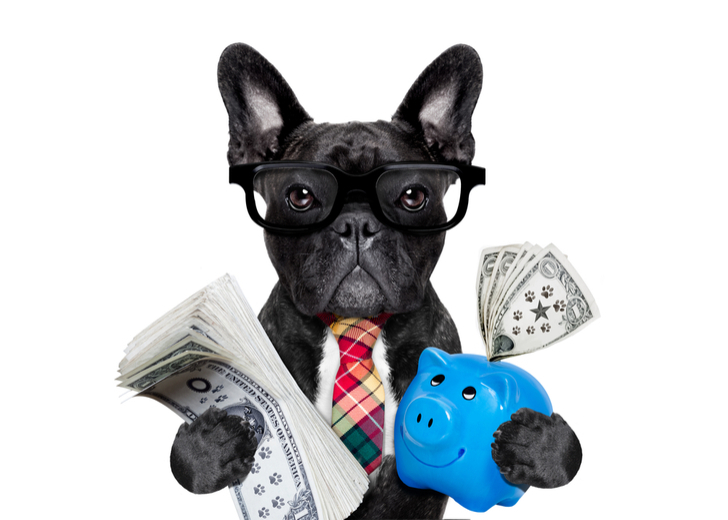 Investors can view data on the complete list of dividend aristocrats here. In this article, we identified nine of the highest-yielding dividend aristocrats that investors may want to consider for income. These companies have largely withstood the test of time and also have strong Dividend Safety Scores, a metric created by Simply Safe Dividends to assess how secure a company’s current payout is. Since inception, Dividend Safety Scores have flagged over 98% of dividend cuts before they occurred, providing predictive value. Investors can learn more about Dividend Safety Scores here. Let’s review nine of the highest-yielding dividend aristocrats that have passed the test. AT&T (NYSE:T) is the largest communications company by revenue in the world. The company offers consumers, businesses, and governments an extensive array of services, ranging from wireless voice and data, to satellite TV, to broadband internet, managed networking and wireline services. In total, AT&T serves 157 million wireless subscribers in North America, 3 million business customers, 16 million internet connections and 47 million pay-TV connections. Since most of AT&T’s customers are monthly subscribers, providing recurring revenue, the business enjoys solid cash flow visibility. The company can use this cash flow to improve the performance of its wireless network and invest in offering additional services and capabilities to grow its business. To better meet the internet’s needs to accommodate rapid growth in video and data usage, for example, AT&T has been investing in 5G wireless technology, which it expects to launch in 12 U.S. markets by late 2018. Of course, AT&T has been busy expanding its portfolio of offerings as well. The company acquired DirecTV in 2015 to become the country’s largest pay-TV provider, and the firm is in the middle of a legal battle to gain regulator’s blessing for its planned acquisition of Time Warner. While these deals significantly increased AT&T’s debt load and added operational risk, the company appears to be on solid ground to continue its dividend growth streak, which stands at 34 years. Research firm Simply Safe Dividends conducted an in-depth review of AT&T’s dividend profile, planned acquisition of Time Warner, and more that income investors can read here. AbbVie (NYSE:ABBV) is one of the largest global biopharmaceutical companies in the world. The company was formed as a spin-off from Abbott Laboratories (ABT) in 2013 and produces drugs for treating chronic autoimmune diseases in different therapeutic areas such as rheumatology, oncology, and virology. AbbVie has a strong global presence with 28 million patients in more than 170 countries using AbbVie products each year. However, the U.S. accounts for more than 60% of the company’s revenue. A huge portfolio of successful products, a strong late-stage pipeline of promising medicines, a well-known brand, extensive R&D capabilities, and a large patent portfolio are the company’s strengths. AbbVie stands in a good position to benefit from growing drug demand to treat complex and serious diseases, especially as the population ages. While AbbVie’s blockbuster arthritis drug Humira accounts for over 60% of sales and an even greater share of its profit, the firm is also targeting to launch 20 new products by 2020 which should fuel future growth and provide some diversification. AbbVie has grown its dividend at an impressive 15% compound annual growth rate over the last three years. The company has a reasonable payout ratio near 50% and generates plenty of free cash flow. Management expressed further confidence in the business when they recently increased AbbVie’s dividend by 35% and also authorized a new $10 billion stock repurchase program. Given the growing worldwide demand for quality drugs and the company’s capabilities, AbbVie should be able to continue its healthy dividend growth in the future as well. Exxon Mobil (NYSE:XOM) is one of the largest oil and gas integrated companies in the world. The firm mainly operates in the business of exploration, production and transportation of crude oil, natural gas, and petroleum products, but it also has sizable downstream and chemicals businesses. With over 125 years of operating history, Exxon Mobil has developed a leading position in the petroleum and petrochemical industries. Economies of scale, strategic pipeline networks, extensive global distribution channels, and an integrated business model are Exxon’s biggest competitive advantages. Oil & gas is a highly capital-intensive industry, which acts as a strong entry barrier for newcomers. For example, Exxon Mobil plans to invest more than $50 billion in the U.S. over the next five years, but its scale and efficient operations have helped the company generate positive free cash flow in each of the last 10 years. While the price of oil remains well off its five-year high, Exxon’s dividend remains on solid ground. Management estimates that earnings will triple in its upstream segment and double in the downstream and chemicals businesses by 2025, and such confidence was reflected in the company’s recent announcement to raise its payout by 6.5%. Exxon has paid uninterrupted dividends since 1882 and raised its payout each year since 1983. 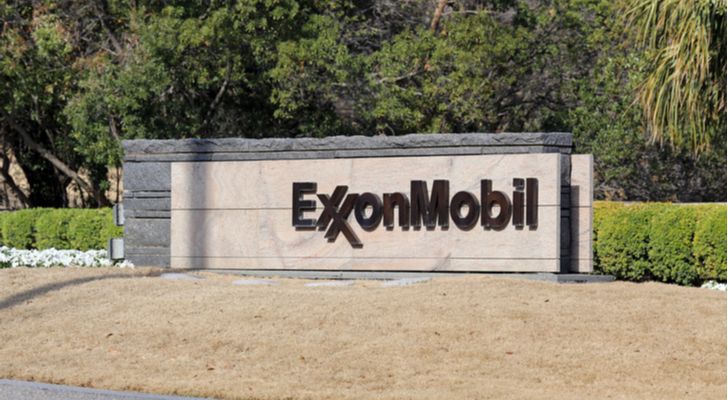 That trend is likely to continue for the foreseeable future, and investors can read an in-depth analysis of Exxon’s dividend, competitive strengths and key risks here. Kimberly Clark (NYSE:KMB) is one of the largest consumer products companies in the world and owns popular brands such as Kleenex, Scott, Huggies, and Kotex. The company’s operating segments can be segregated into personal care (50% of revenue), consumer tissue (32%) and K-C Professional (18%). Sales in North America constitute nearly 50% of total revenues with foreign markets accounting for the rest. 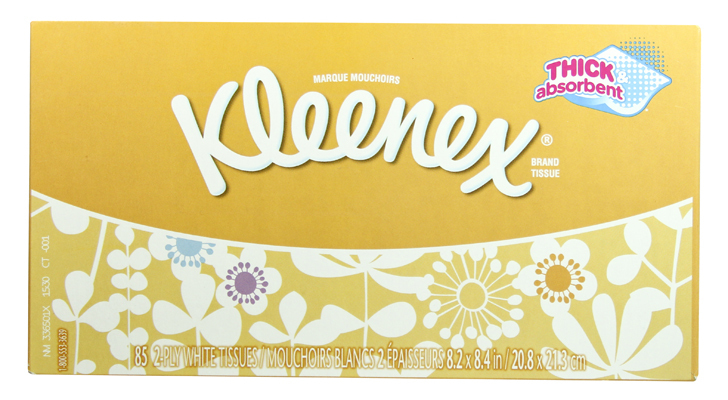 Kimberly-Clark serves nearly one-fourth of the world’s population in more than 175 countries. This is enabled by its extensive sales and marketing network consisting of a large number of channel partners. The company has leveraged its 145 years of experience to design innovative consumer essential products. Over the years, Kimberly-Clark has developed a strong reputation for quality, with most of its brands commanding the No. 1 or No. 2 market position in many countries. Input cost inflation, private label competition, and e-commerce have all created challenges more recently. The company is responding by investing more in product innovation and implementing an aggressive cost savings target which is expected to result in savings of over $1.5 billion by the end of 2021. Meanwhile, the company’s significant presence in developing countries should lead to higher demand over time as rising living standards increase demand for personal care and hygiene products. Kimberly-Clark recently increased its dividend by 3.1%, which marks its 46th consecutive annual dividend growth. Given new product launches, its aggressive cost reduction target and shareholder-friendly cash deployment program, the company should continue its single-digit pace of dividend growth in the future. With its dividend yield sitting near 4%, representing close to an all-time high, Kimberly-Clark is one of the best high dividend stocks to review here. Procter & Gamble (NYSE:PG) is a leading consumer goods company selling products in more than 180 countries. The business has become a leading household name and is a global leader in ten product categories. The company’s reportable segments are Fabric & Home Care (32% of sales); Baby, Feminine & Family Care (28%); Beauty (18%); Healthcare (12%), Grooming (10%). P&G’s umbrella of well-known brands consists of famous brands like Ariel, Bounty, Head & Shoulders, Olay, Pampers, Gillette, Tide and many more. Developed markets account for 65% of sales while developing markets constitute the rest. North America is P&G’s largest market with 45% of sales. With 180 years of experience, the company has successfully carved out a leading position in the global consumer goods industry. P&G’s well-known brand name and its strong reputation for quality have allowed it to develop a customer base consisting of millions of loyal consumers around the world. While developed markets are experiencing several growth challenges today, fast-growing emerging markets hold a lot of promise for many of the company’s consumer products. P&G’s extensive product portfolio, excellent retail distribution network, and quality reputation are its key competitive advantages. Procter & Gamble is currently implementing a $10 billion savings program to increase its profit margins. Management has set a target to return more than $70 billion in cash to its shareholders through fiscal 2019, which means moderate dividend growth should continue. Procter & Gamble is a member of the dividend kings group here with 62 years of consecutive dividend increases. Perhaps more impressively, the firm has paid uninterrupted dividends for 128 years, last raising its payout by 4%. Consolidated Edison (NYSE:ED) is a leading American utility selling energy-related services to 10 million customers in New York City and Westchester County. More than 90% of the company’s revenues are derived from regulated activities, making the company’s cash flows safe and predictable in nature. The Electricity business accounted for 72% of 2017 revenues, followed by gas (18%), steam (4%) and non-utility businesses (6%). Nearing almost a century of existence, Consolidated Edison has developed an extensive distribution network, a diverse customer base, and a reputation for providing safe and reliable services. While increased energy efficiency and new technologies like battery storage, smart meters, and electric vehicles are changing the way customers consume energy, Consolidated Edison’s core New York market should remain a major power consumer for many years to come. As a result, Consolidated Edison was able to recently raise its dividend by 3.6%, which was its 44th consecutive annual increase. The utility has been growing its dividend at about 3% per year over the last three years and appears to be in a good position to continue rewarding shareholders with low single-digit increases. With some investors worrying about the impact of higher interest rates on this sector, an in-depth review of the effect of rising rates on utilities can be found here. Chevron (NYSE:CVX) is one of the world’s leading integrated oil and gas companies. The firm owns an extensive network of energy, chemicals, and petroleum businesses worldwide. Chevron operates through two segments – upstream, accounting for 60% of earnings, and downstream, which constitutes the remaining 40%. The company has a very global presence, with operations spread across North America, South America, Europe, Africa, Asia and Australia. The U.S. and international markets each accounted for approximately 50% of the company’s 2017 earnings. Chevron’s key advantages are its vertically integrated operations, economies of scale, and relatively low-cost production. The company’s presence across the entire energy supply chain also makes it relatively less vulnerable to commodity price fluctuations compared to its pure-play exploration and production peers. The company increased its dividend payout for the 31st year in a row in 2018. While Chevron’s recent dividend raise was 3.7%, lower than its 5-year CAGR of 4.2%, it was still decent given today’s low oil prices. With the business continuing to expect mid-single-digit worldwide production growth in 2018, plus oil prices climbing and cost cuts continuing, Chevron’s dividend appears to remain on solid ground. Coca-Cola (KO) is one of the largest holdings in Warren Buffett’s dividend stock portfolio and also the largest beverage company in the world, with a portfolio of more than 500 non-alcoholic beverage brands. Out of the 60 billion servings of beverages consumed worldwide every day, Coca-Cola accounts for more than 1.9 billion. The company owns four of the world’s top sparkling soft drink brands: Coca-Cola, Diet Coke, Fanta and Sprite. Its products can be categorized into sparkling soft drinks; water, enhanced water and sports drinks; juice, dairy and plant-based beverages; tea and coffee; and energy drinks. Coca-Cola’s reach is truly global, with its massive distribution network covering 27 million customer outlets in 200 countries. Strong brands, financial strength, an extensive distribution network, and global reach are some of Coca Cola’s key competitive advantages. Coca-Cola has increased its dividend in each of the last 56 years and last raised its payout by 5.4%. The company has set targets of a 75% payout ratio and 7-9% annual earnings growth over the long term, which means its dividend will likely continue increasing at a mid-single-digit pace. 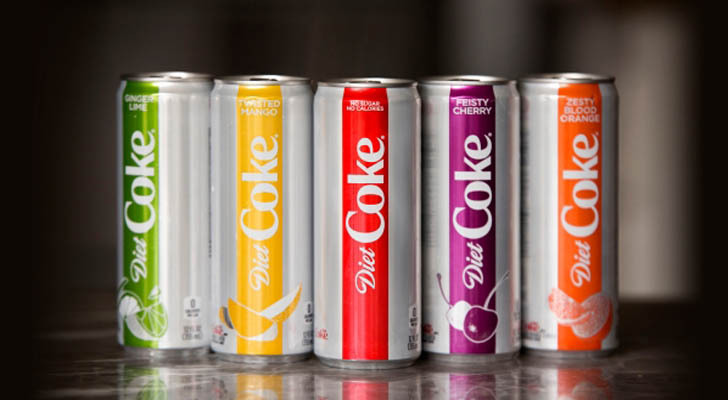 Dividend growth could remain somewhat lower than earnings growth the next few years as the business continues investing in healthier drinks, which will help ensure that Coca-Cola remains a force for many years to come. Federal Realty Investment Trust (NYSE:FRT) is the only dividend aristocrat in the real estate sector. Investors can learn everything they need to know about investing in real estate investment trusts in this in-depth guide here. Federal Realty is one of the oldest, fully integrated retail REITs in the U.S. The REIT’s portfolio consists of 104 properties with a combined area of 24 million square feet. These are mostly high-quality retail properties such as shopping centers, offices, residential units, and hotel complexes. The properties had 94% occupancy with approximately 3,000 tenants as of December 2017. Federal Realty focuses on owning properties located in densely populated, affluent communities in Washington, D.C., Boston, San Francisco and Los Angeles. This is one of the company’s major strengths as a good location is of primary importance in this business. High occupancy levels and a diverse base of tenants provide strong cash flow visibility. Federal Realty is also in a good position to maintain steady rent increases with its landlord-friendly leases and high rollover growth. Federal Realty has paid quarterly dividends to its shareholders continuously since it was founded in 1962. It has also increased dividends for 50 consecutive years, which is a record in the REIT industry. The company last raised its dividend by 2% and has recorded a dividend CAGR of 6.3% over the last three years. Single-digit dividend growth is likely to continue. Brian Bollinger is long AT&T, Exxon Mobil, Kimberly-Clark, Procter & Gamble, and Consolidated Edison. Article printed from InvestorPlace Media, https://investorplace.com/2018/04/9-highest-yielding-dividend-aristocrats-to-buy-today/.